Panama City Beach, Fla. (January 30, 2015) – The National Volleyball League (NVL) will kick off the 2015 pro tour at The Boardwalk Beach Resort in Panama City Beach, FL from March 18 – 20, 2015 during Spring Break. The three-day event will feature a 16-team draw per gender with teams competing for a $50,000 prize purse. NVL has partnered with The Campus Agency, a nontraditional media and marketing agency specializing in the student market, to create a unique experience for students attending the tournament during Spring Break. The tournament will be live streamed for fans on the NVL Network. 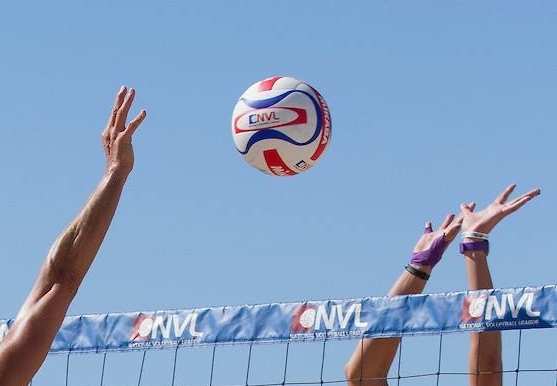 The Panama City Beach tournament is one of eight professional events on the NVL calendar in 2015. Remaining 2015 pro tour schedule details to follow. The Campus Agency is a nontraditional media and marketing agency specializing in the student market. The Campus team not only has a deep understanding of the college market and broad connections with companies in the college space, but extensive experience in student deals and building partner relationships. Their services include: partnership marketing, on campus marketing initiatives, spring break marketing, and on campus brand ambassador programs. Paul Tedeschi, CEO of Campus, is a veteran youth marketer having worked in the field for over 25 years. Paul started his first agency, Collegiate Advantage, during his junior year at Boston University. He then went on to become co-founder and CEO of Mr. Youth (now MRY).